Let's hear it for the class of 2017! 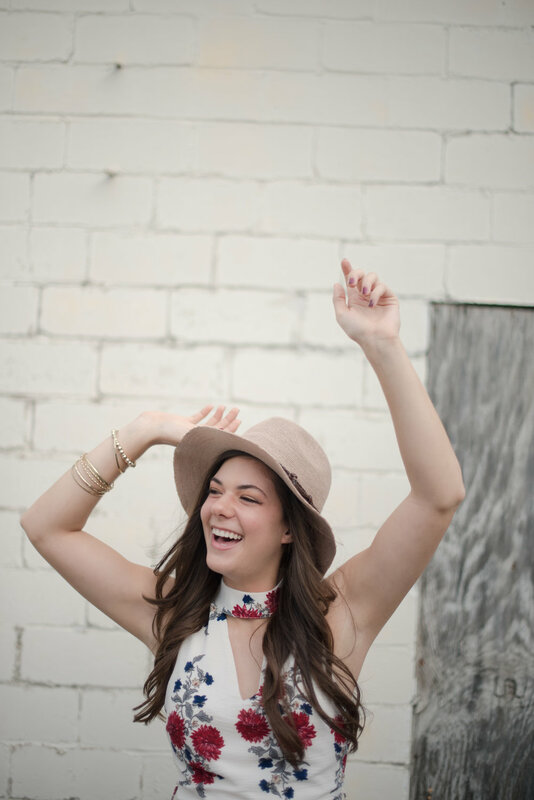 Graduation is quickly approaching (not to mention Christmas break YAY), so I’ve selected my favorite gift ideas for the senior in your life. Whether it's high school or college, these picks will getcha headed in the right direction. 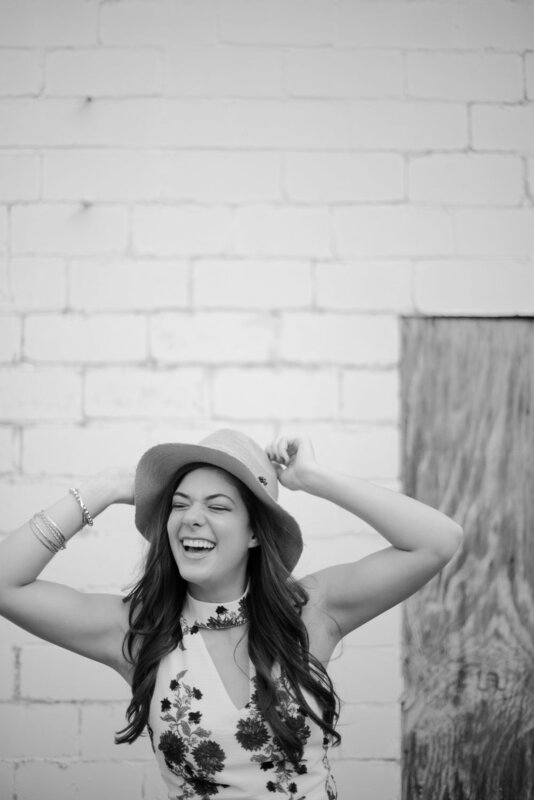 Keep scrolling to shop my roundup below and enjoy my latest senior shoot, too. Meet Whitney Lewis, queen of her senior class...as far as I’m concerned. :) She has big plans and an even bigger heart...a combo nothing can stop! Jewelry tops the list of graduation gifts for the girls in your life. Nothing says classic like pearls, so I suggest these pearl stud earrings, stranded necklace, or bracelet. So grown up! A Michael Kors watch is a perfect investment piece that will last your girl years to come. This leather strap Tory Burch is a bit trendier, along with this square-faced option! I love the idea of this diamond pendant necklace (rose gold--fan favorite!). This bangle even makes it on my personal Christmas wishlist! For a personlized touch, these monogram earrings are super cute. I especially love the mid-century flair in this pair. She's going to need to keep all of her fabulous jewels organized. For a public display of her jewelry affection, this Parisian Heart collection is...heart eyes. As for jewelry mirror displays, this is a great option for also holding some bathroom essentials, nail polishes and knick-knacks. Since she'll want a full length mirror for her dorm room or apartment (obviously), this jewelry wall safe is perfect for both needs (because they are NEEDS). Smaller options include this jewelry case...IDEAL for hiding your treasures away. I love how it zips closed to keep everything secure. I'm drooling over this jewelry portfolio...amazing for travel AND dorm room (also love this light pink one). For a smaller travel option, Marrakesh got it right (under $50 too). #1 - You are beautiful. You are strong. You are a woman-turned-warrior trained by the King for the very battle that is in front of you. YOU'VE GOT THIS. #2 - You were born to blaze new trails. Pioneer great adventures. Reclaim new territory. Take daring risks. You were born to tell an original story. Be God strong and foolishly courageous. Let faith not fear be your guide. Always remember to give God room to prove Himself faithful. You were born for such a time as this. Matching iPad case, bluetooth speaker and earbuds...say no more! She'll probably even study better with these essentials. Speaking of studying...these furry lap desks are perfect for late nights sitting up in bed working on that last minute paper (or last minute blog...maybe I need one)! This mini fridge will stock the caffeine for the following early morning. And nothing says "adulting" like a grown-up robe...get it monogrammed, too! To keep the matchy theme alive, these polka dot desk accessories match this beauty organizer, so your girl needs both. These stickers will be adorable adds to her notepads and journals, so she also needs these, please. Don't forget the Kate Spade pencil pouch and matching planner...because, matching. AND she can't oversleep for class, so this alarm clock should help. Every girl needs a nice planner...this floral one will keep her days in order. For the one who actually can't live without a plan, she'll love this "master plan" journal ("big plans planner" is so cute too!). No better time to jot out a bucket list for the future than NOW. This gold art deco-inspired journal is just straight up PRETTY. I also love the idea of a leather-bound Bible for a new beginning and new season. Get it engraved with her name for an extra special touch! Senior trip coming up? Map it out with these luggage accessories. Bon Voyage! Much love and happy shopping!